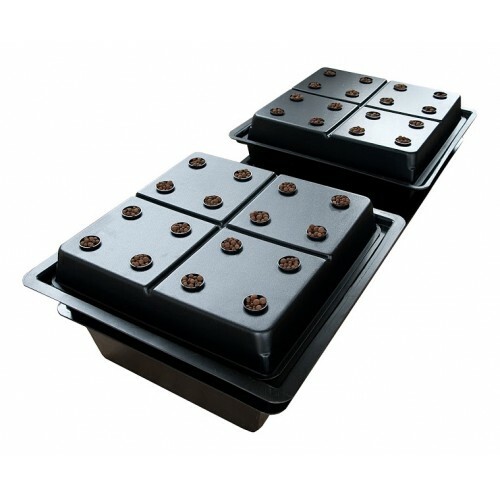 The Amazon Aeroponic System provides a highly effective and very accessible growing method, capable of growing multiple plants to full maturity. Aeroponic systems have been around for quite a while but until now the only reliable systems have been prohibitively expensive. The Amazon changes all that! Made by Nutriculture (the same people behind the legendary Gro-Tanks and the Aeroponic Propagators), the Amazon is a tried and tested system that has rightly gained a reputation for producing some seriously impressive plants. 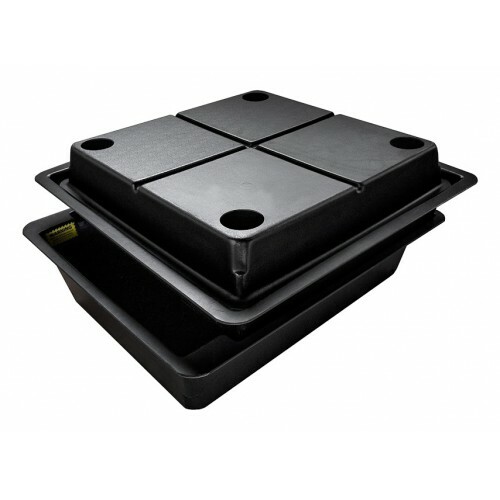 Available in 8, 16 and 32 Plant versions, the Amazon is fully compatible with the Net Pots used in the Aeroponic and Jumbo Aeroponic Propagators so you can create a fully aeroponic grow room from cutting to harvest if desired! All sizes of the Amazon System take up the same amount of floor space, each measuring 80cm (long) x 75cm (wide) x 46cm (tall).